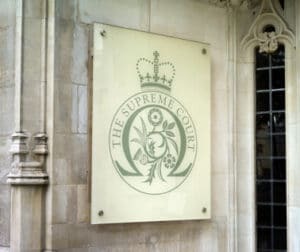 The professional indemnity insurer of an insolvent law firm is not required to repay the £581,000 a disbursement funder lost due to the firm’s breach of contract, the Supreme Court has ruled. Overturning the Court of Appeal and restoring the original decision of His Honour Judge Waksman QC, the court ruled 4-1 that the contract fell within the ‘debts and trading liabilities’ exclusion contained in the minimum terms and conditions (MTC) laid down by the Solicitors Regulation Authority. In Impact Funding Solutions Limited (Respondent) v AIG Europe Insurance Ltd (formerly known as Chartis Insurance (UK) Ltd) (Appellant)  UKSC 57, AIG provided insurance to a firm of solicitors called Barrington, which acted in ‘no win, no fee’ personal injury claims. Its clients would take out loans with Impact to cover upfront disbursement costs, such as medical experts’ fees. Impact agreed with Barrington that it would offer a credit facility to Barrington’s clients, but it was not obliged actually to advance loan money. Barrington breached its contract with Impact by being negligent in its assessment of the claims it took on and by misapplying some of the money which was advanced by Impact for disbursements. Barrington went insolvent and Impact sought an indemnity from AIG for the £581,000 it lost in loans that were not repaid. AIG argued that it did not have to pay because Barrington’s liability to Impact was caught by the exclusion clause in the MTC. The policy provided that AIG would pay on behalf of any insured “all loss resulting from any claim for any civil liability of the insured which arises from the performance or failure to perform legal services”. 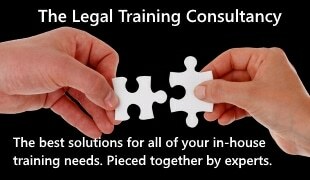 The exclusion included any claim or loss arising out of “breach by any insured of the terms of any contract or arrangement for the supply to, or use by, any insured of goods or services in the course of providing legal services”. The Supreme Court had to decide whether the disbursements funding master agreement (DFMA) fell within the exclusion clause, and, if so, whether it was necessary to imply a restriction into the clause limiting its effect in order to make it consistent with the purpose of the policy. Among the reasons for this were that Barrington contracted as a principal with Impact and not as agent for its clients and that Barrington clearly obtained a benefit from the funding of its disbursements. But as Impact’s cause of action under the DFMA was an independent one – rather than derived from the clients’ claims – “excluding such a claim creates no incoherence in the policy”. Rather, he continued, the exclusion was consistent with the purpose of the policy, which was to protect clients, rather than third parties (except in cases of negligence or breach of undertaking). In a concurring judgment, Lord Toulson said: “Barrington and Impact made a commercial agreement as principals for their mutual benefit, as well as for the benefit of Barrington’s clients. Impact was not a client or quasi-client of Barrington, and the promise by Barrington which led to the judgment obtained by Impact was part of the commercial bargain struck by them. In a dissenting judgment, Lord Carnwath said he would have dismissed the appeal because the essential service provided by the DFMA was the provision of loans to Barrington’s clients, rather than the firm. We reported earlier this month that Impact Funding was planning to delist from AIM as it awaited the outcome of the case. There is to be a second Supreme Court ruling on the MTC in due course, again involving AIG but this time on the aggregation clause. The hearing was held earlier this month.